Researchers report the identification of a novel transcription factor that helps regulate the differentiation of mesenchymal stem cells (MSCs) into bone in mice. 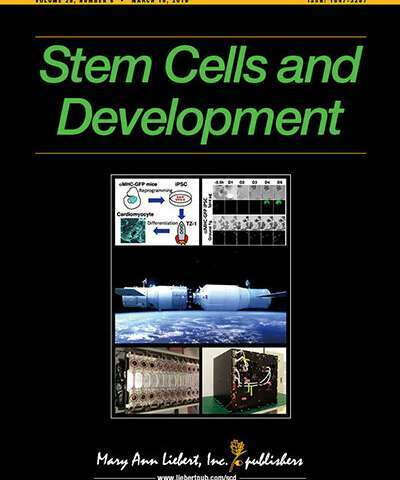 Bone cell differentiation is still poorly understood, and MSCs offer a promising source of stem cells for regenerative medicine applications. The new transcription factor, called Osteoblast Inducer (ObI)-1, is described in an article published in Stem Cells and Development. "Lucio Pastore and colleagues report for the first time that a novel transcription factor they named Osteoblast Inducer-1 regulates osteogenic differentiation acting upstream of Runx2. In their elegant paper they used both knockdown and overexpression experiments in both a multipotent murine bone marrow cell line as well as primary murine mesenchymal stem cells," says Editor-in-Chief Graham C. Parker, Ph.D., The Carman and Ann Adams Department of Pediatrics, Wayne State University School of Medicine, Detroit, MI.